Appalachian Trail near Kent, Connecticut. This is a repeat of a group of trees I’ve photographed a lot as they’re quite spectacular. I wanted to try them with the Ricoh GR and wide angle adaptor and that’s what’s used here. 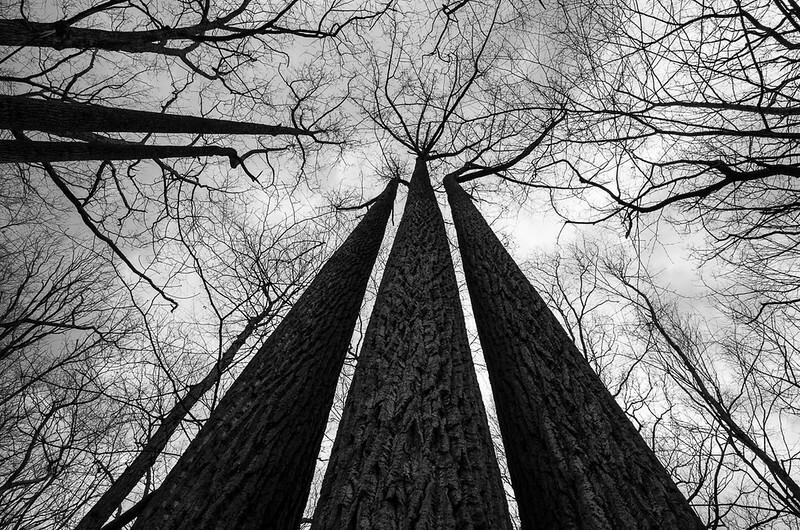 There are two groups of tulip trees: one with two trunks and one with three. The two trunk group is two separate trees close together, the three trunk group is a single tree with a single large base with three trunks growing out of it. This was my first (solo) hike this season from Bull’s Bridge to Rt. 341 along Schaghticoke Ridge on the Appalachian trail. I’m happy to report I lived (joke, sort of). It’s a tough hike and not for the out of shape. These trees are right next to Thayer Brook which is toward the end of the hike going south to north and stopping here with one hill to go takes will power. But, these trees and the brook are magnetic in any season and in the end, I needed to rest. Thanks Martin. I’ve had lots of practice with these trees. Richard, those are both really great images. Thanks Steve, delighted you like them. I really like the symmetry on the second image. 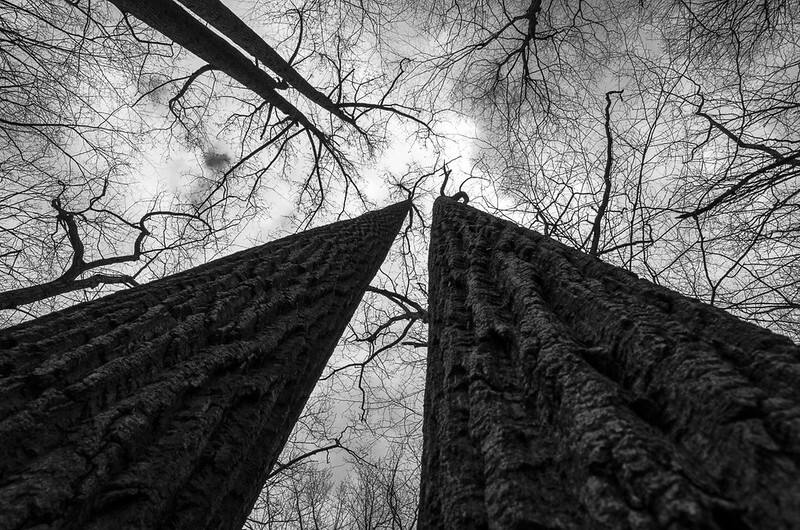 Was this with the 21mm adapter – the trees look amazingly straight and undistorted! Mark: Yes, it was with the 21mm wide angle adapter. I’ve shot them before with the GR sans adapter and wanted to try it with them. I agree, the adapter is doing very well with distortion. The test for me will be my next trip to New York and photographing buildings. That’s where wide angle edge issues become apparent. Not sure when I’m due for a NY trip but probably in the next week or two. Thanks. I really enjoyed seeing these excellent images of those majestic Tulip trees. Makes me homesick for hiking with you on that wondrous trail. Thanks Gary. They’ll still be here when you next visit. We’ll use this hike to warm up for the Devil’s Path!